Some 40 key policymakers from member states of the Caribbean Telecommunications Union and 100 professionals and executives are at the Atlantis resort on Paradise Island to participate in workshops, conferences and seminars all week this week. Pictured: Opening press conference for Information and Communication Technology (ICT) Week at Atlantis, Paradise Island, November 27, 2017. Some 40 key policymakers from member states of the Caribbean Telecommunications Union (CTU) and 100 professionals and executives are at the Atlantis resort on Paradise Island to participate in workshops, conferences and seminars all week this week. This week is the Information and Communications Technology (ICT) Week, facilitated by the Bahamas Government and the Utilities Regulation and Competition Authority (URCA). 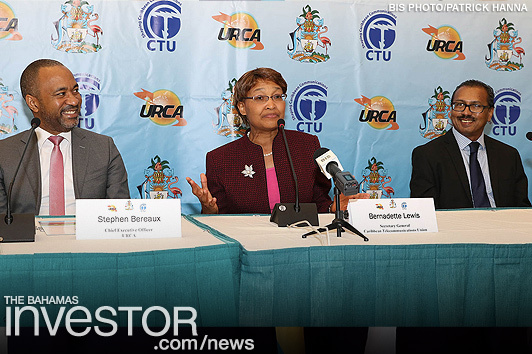 The opening press conference was held at Atlantis, Paradise Island featuring chief executive officer of URCA, Stephen Bereaux; secretary general of the Caribbean Telecommunications Union, Bernadette Lewis; and chairman of the CTU, Philip Dalsou. Stephen Bereaux briefed the press on the main objective of the conference, which is to address Internet imperatives. He spoke of the rise and dominance of the Internet and stressed the importance of the pending united platform that the CTU has plans to bring into action. Bereaux believes that the benefits of a single Caribbean cyber platform will “improve social and economic development and understanding of internet intelligence in the Caribbean, while focusing on cyber security and development”. 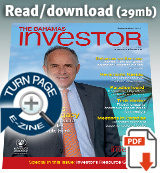 Secretary general of the CTU, Bernadette Lewis remarked: “Legislation needs to be reformed. It is centuries old, inefficient and time consuming.” She envisions more cost effective and transparent operations for the Caribbean. Chairman of the CTU, Philip Dalsou said, “ICT is the most dynamic sector and we must embrace it because it has transformed economies and behaviours at more rapid speeds than before.” He talked about how ICT also impacts things such as education, the health sector, and disaster management. With disaster frequency and magnitude increasing, Dalsou urged that we embrace the changes that modern technology has created and use them to unite the Caribbean and improve disaster response with rapid communication. ICT Week is expected to significantly increase the awareness of Internet imperatives to bring forth further action and endless possibilities for the Caribbean Community and other Caribbean countries outside of CARICOM.